The fourth match of the ODI series will be played at the Brabourne Stadium in Mumbai on Monday. 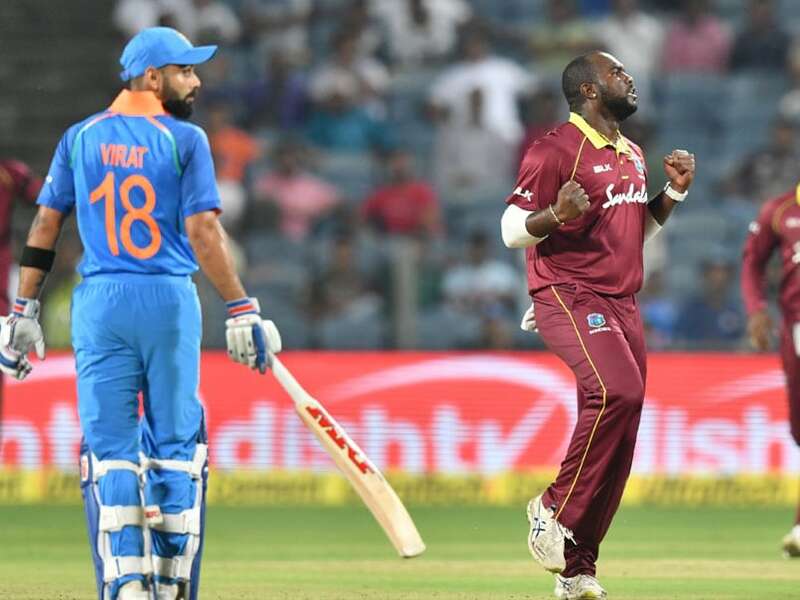 The Windies will be high on confidence when they take on India in the fourth One-Day International (ODI) at the Brabourne Stadium in Mumbai on Monday. 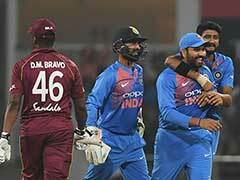 The Jason Holder-led squad is upbeat after registering an emphatic win in the third ODI at the Maharashtra Cricket Association Stadium in Pune, where India skipper Virat Kohli notched up his third consecutive century of the series. But Kohli's knock went in vain as India's middle-order ran out of steam during the 284-run chase. The five-match series is now poised at 1-1. The much-awaited first win of the tour for Windies came after a combined effort from all departments. 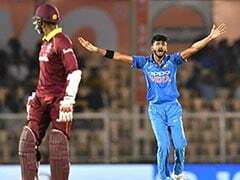 The batsmen, led by Shai Hope (95), with able support from Ashley Nurse, Shimron Hetmyer and Jason Holder, helped the team set a fighting total against India. 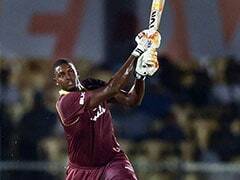 The Windies bowlers also produced a combined effort by restricting the Indian batsmen to 240. The Indian middle order, that was yet to be tested in the ODI series, failed to impress by wilting under pressure in tricky situations. 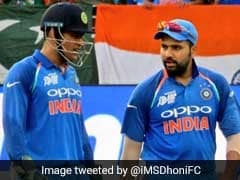 Barring skipper Kohli, the likes of Ambati Rayudu (22), Rishabh Pant (24) and wicket-keeper MS Dhoni (7) failed with the bat. The third ODI also saw the return of pacer duo Bhuvneshwar Kumar and Jasprit Bumrah. Bumrah impressed with figures of 4-35 but Bhuvneshwar had a terrible outing, going for 70 runs in his ten-over quota. Openers Rohit Sharma and Shikhar Dhawan remain inconsistent, with Rohit being impressive in the first match and Dhawan failing to convert his starts. India's current number four, Ambati Rayudu, will also have a task at hand after scoring a frugal 22 runs in the third ODI. MS Dhoni's performance, too, hasn't been up to the mark. After the fourth ODI in Mumbai, India and West Indies will lock horns in the fifth one in Trivandrum. The match starts at 1.30 PM tomorrow. India - Virat Kohli (captain), Rohit Sharma (vice-captain), Shikhar Dhawan, Ambati Rayudu, Rishabh Pant, MS Dhoni (wicket-keeper), Ravindra Jadeja, Kuldeep Yadav, Yuzvendra Chahal, Bhuvneshwar Kumar, Jasprit Bumrah, Khaleel Ahmed, Umesh Yadav, KL Rahul, Manish Pandey and Kedar Jadhav. Windies - Jason Holder (Captain), Fabian Allen, Sunil Ambris, Devendra Bishoo, Chanderpaul Hemraj, Shimron Hetmyer, Shai Hope, Alzarri Joseph, Evin Lewis, Ashley Nurse, Keemo Paul, Rovman Powell, Kemar Roach, Marlon Samuels.